Although the Dow Jones Industrial Average fell 4.1% yesterday, a market neutral long/short strategy investing in the 30 stocks showed a small gain. For times like this, switching from momentum to long/.short strategies may be a prudent move. In a recent article we described a weekly market neutral long/short equity strategy for Dow 30 stocks. A similar strategy but for the daily timeframe was described in this article. These strategies are simple and based on factors (also known as features, predictors or attributes) engineered by DLPAL LS. It may be seen that DLPAL LS identified 22 stocks with positive directional bias P -Long > 50 and 8 with short directional bias P-short > 50. This performance was negative at -1.62% but much lower already than the performance of the Dow 30 at -4.15%. Next we score stocks by the product of P-delta (the directional bias)and S (the significance of the results) for 50% long and 50% short and have the program calculate the performance again. The performance is +0.32% from open to close of Thursday and +0.37% from close of Wednesday to close of Thursday. Market neutral long/short equity can be applied to any stock group. If the features are robust, this strategy may perform well especially during adverse market conditions. More details about DLPAL LS can be found here. 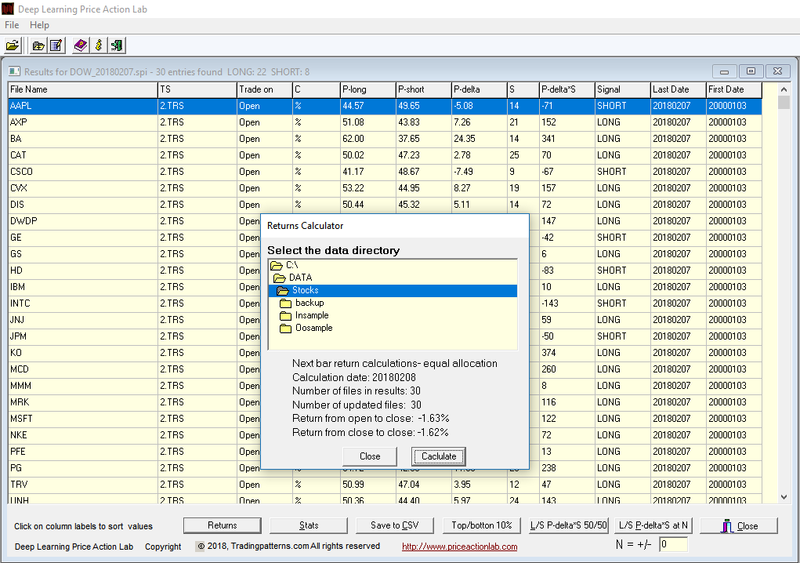 For more articles about DLPAL LS click here. 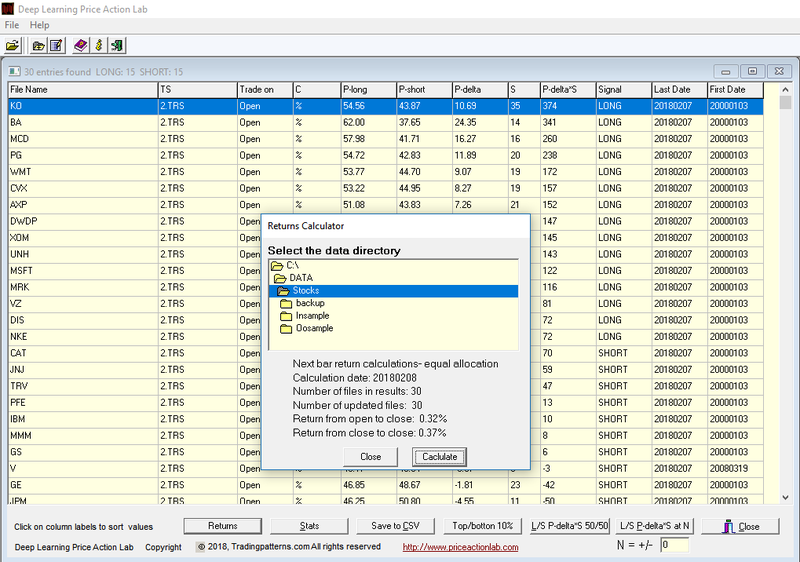 Hedge funds can receive a free fully functional demo of DLPAL LS valid for one month. For more details and information on how to order a demo click here. Please read our Disclaimer and Terms and Conditions before ordering a demo or full version of DLPAL LS.